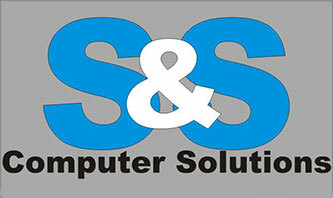 S&S Computer Solutions was created to offer Professional, Affordable, and Friendly IT Services. Located in Cedar Park and servicing the greater Austin Metro area. Why pay more for less quality service at a large faceless corporation? We offer on-site computer service. You never have to leave the comfort of your home. 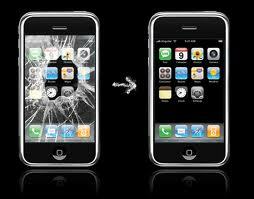 We are available Nights & Weekends and provide 24/7 emergency repair. S&S proudly partners with Bengal Software. Providing website, database and custom software services. Texas Association of Polygraph Examiners Annual Association Event, S&S will be talking about the importance of Internet Security. S&S Deploys its #019 Aero Series (TM) Dragonfly PC at Cordi Woodworks for use as CAD design & controller for CNC machinery in Liberty Hill, TX. 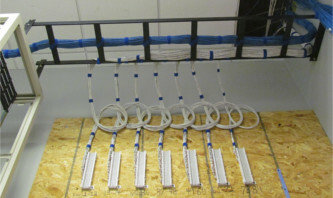 System was fitted with a custom filter face for use in dusty environments. S&S Deploys outdoor, weather-proof, wireless construction site security video camera system for Multi-Tenant Investments (M.T. I) in Cedar Park, TX. S&S Deploys its #016 Aero Series (TM) Dragonfly PC at Capital Septic in Austin, TX for use in CAD design of their clients septic systems. S&S completes the construction of close to 100 Rubbermaid mobile medical computer carts for use in various Seton Hospitals in the Greater Austin Area. 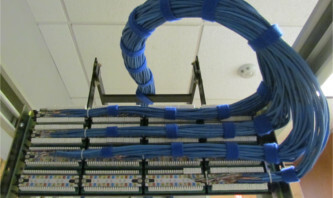 Another Large Scale Cabling project, 3.7 Miles of cable installed for a large software company. Formally launches it's Aero Series PC on KOKE FM. S&S Hires two new Field Technicians to help with increased volume of work. The 2015 KOKE FM Free Concert Series is back at Hill’s Café, for the current line up Click here . World Back up day! Back up your data today! National Pi Day Geeks get this, it’s a pretty big deal! S&S Begins development of their own Product Line. Telephone Tech Support Scam is on the rise in Central Texas. S&S Cables a Large Software Developer’s new addition. It only took 7.5 Miles of cable and 2 weeks. the field. To see how you can help them, go to their website! Welcome to S&S Computer Solutions. Locally owned and operated in Cedar Park, Texas to serve all of your IT and computer needs. 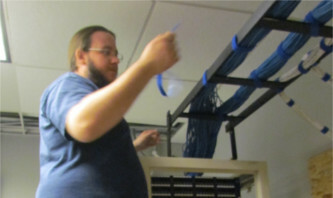 Located in Cedar Park, Texas and servicing the greater Austin Metro area, S&S Computer Solutions was created to offer Professional , Affordable, Friendly Computer Repair and IT Services. Why pay a large faceless national chain to fix your computer when you can have a locally owned and operated computer service company do it for you? We offer in shop and on-site computer services. If you don’t have time to bring in your computer, we can pick it up and drop it off for you when repairs are completed. 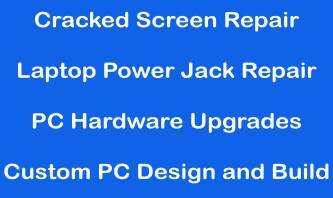 We can also come to you to give you the highest level of technical support right in the comfort of your own home. We are available Nights & Weekends and provide 24/7 emergency repair. If you have a computer problem, don’t hesitate to call us! 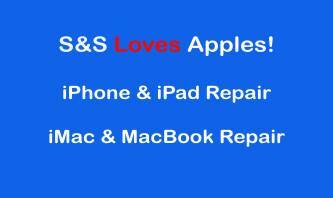 S&S Computer Solutions has a qualified staff with over 35 years’ experience who can service all major brands of laptops, desktop computers, tablets and smart phones. 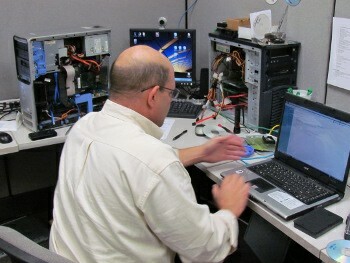 S&S wants to help ensure you are getting the most out of your computing experience. If you are a small to medium sized business, or a one person home office, we are here to help you with your technology needs. Deciding what hardware or software to use and which best suits your application can be confusing and time consuming. Save money and valuable time by calling S&S and letting us help in the decision making process. Whether you are a new or a growing business, S&S can help you setup or expand your office with wired and wireless networking, new network installation or reconfiguration. We can help you when you are on the move. What our clients have to say about our services. Let them help you make your decision. Thank you Sean Payne and S&S computers. Oh computer god! Definitely not crawling anymore! 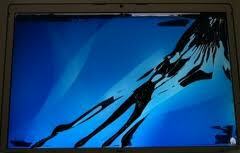 You will always receive the best level of IT support available and we will back it up.. If you are not happy with the services provided we will come back, and make sure you are happy with all work completed. Our Goal is to ensure you are 100% satisfied with our services. Problems with your existing website? 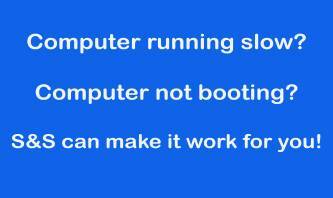 We can help get your website back up and running the way it should be. Sometimes after a web site is completed by one of our competitors they will walk away and leave you to tend to your website without giving you the proper knowledge and tools. This is where we can step in and make sure your website stays maintained and working for you as it should. © Copyright 2017. S&S Computer Solutions LLC.